Browns Thame garage has an intricate and strong heritage within the automotive and motorsport industries. 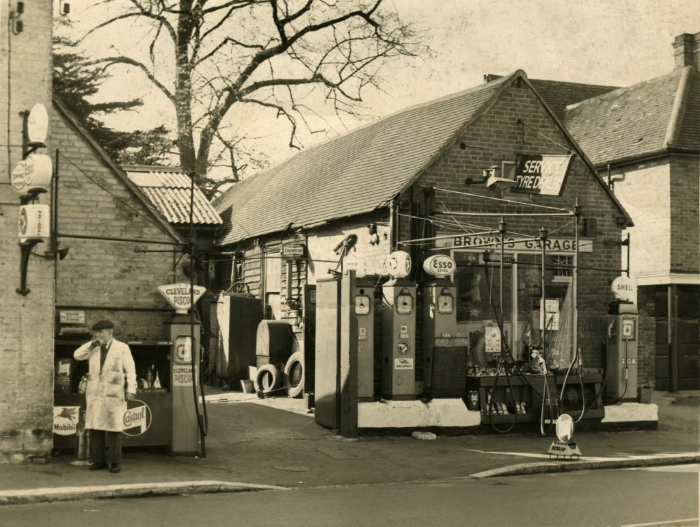 The Browns family have been in the servicing and repair business since 1936 when William Brown opened the first garage in Beaconsfield. Subsequent generations of the Brown family have opened garages in High Wycombe, Bourne End, Loudwater and Seer Green, holding Ford, Skoda and Suzuki franchises as well as Gilera motorcycles. Alex Brown, the great grandson of William, opened the Browns Thame garage in Thame in 2010. Cars may have changed considerably since 1936, but good old fashioned service, and a hands on approach are just as important to Alex as they were to his great grandfather. Alex’s background is in the F1 (Formula One) industry where he worked for Renault for ten years twice winning both the Drivers & Constructors World Championships. Alex is joined by his father Ian Brown and co-director Shaun Slade. Shaun is a highly trained master technician with over 25 years experience in the automotive industry. Throughout his career, he has trained on Ford, Volkswagen, Suzuki, Toyota, Landrover and Lotus vehicles. Below are some photos from the original Beaconsfield Garage in 1936, the Holspur Garage in 2006 and finally the new Thame garage workshops established in 2010. Continuing with a strong heritage and family tradition, we are proud to provide automotive and motorsport services to both our regular and new customers in Thame and the surrounding areas.